Because by default, Hibernate will cache all the persisted objects in the session-level cache and ultimately your application would fall over with an OutOfMemoryException somewhere around the 50,000th row. 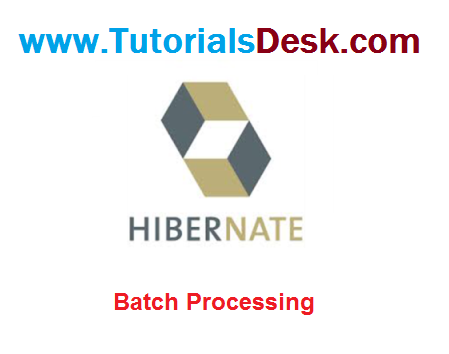 You can resolve this problem if you are using batch processing with Hibernate. To use the batch processing feature, first set hibernate.jdbc.batch_size as 50. This will tell the hibernate container that every 50 rows to be inserted as batch. Also there is a slight change in the code.